On Saturday 17th November MMF will mark this special Year of Remembrance with a concert at Holy Trinity Church in Wandsworth. This uplifting performance of choral and instrumental pieces will culminate with Pete Churchill’s ‘Echoes’, written as a homage to the Polish community and all those who have had to build new lives away from home. 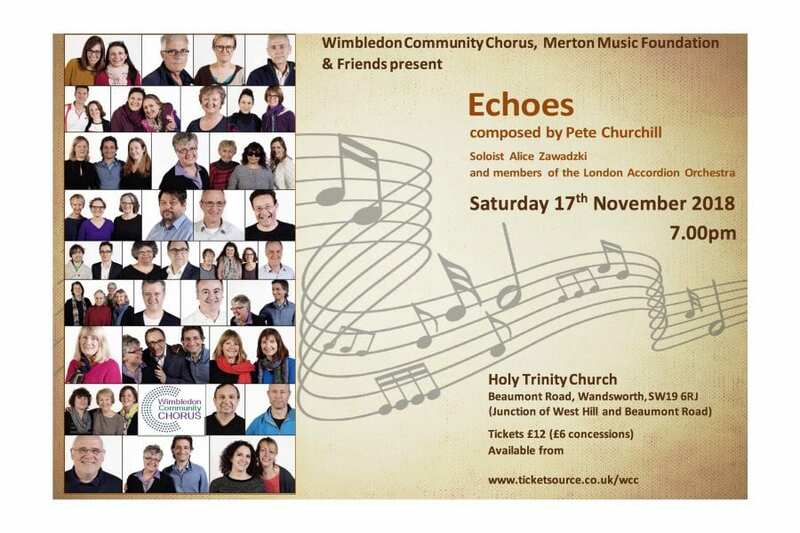 The concert features Wimbledon Community Chorus, MMF’s Young Voices Choir and the Wimbledon Polish School with special guests Alice Zawadzki and members of the London Accordion Orchestra. ‘Echoes’ will be conducted by the composer Pete Churchill and the evening will also included several lovely arrangements by our very own Adam Saunders. For rehearsal and concert information for Young Voices click HERE! *If you use SatNav to get there please use the postcode SW19 6RJ.